Jesse's bossy cousin Sara is coming to visit for a whole week, and Jesse isn't happy about it. But Jesse is surprised to discover how much fun Sara can be! 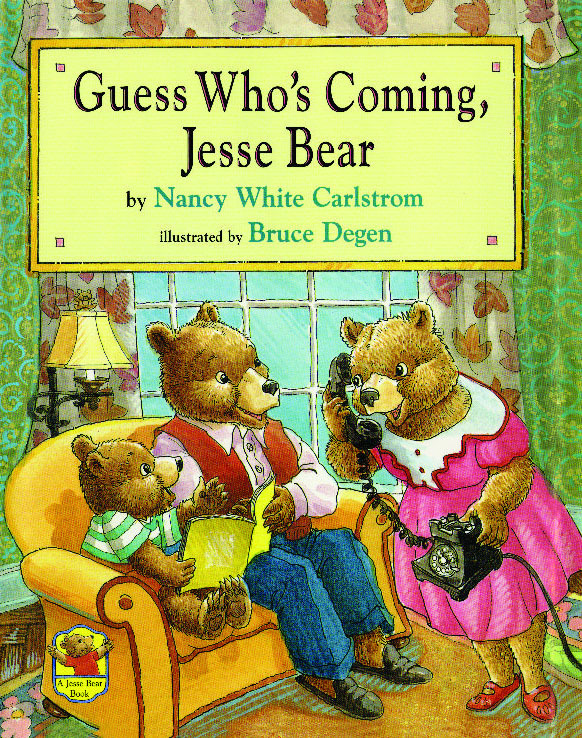 Nancy White Carlstrom is the author of more than fifty books for children, including nine other titles in the Jesse Bear series, Who Said Boo?, and Wild Wild Sunflower Child Anna. Ms. Carlstrom lives in Fairbanks, Alaska, with her husband, David, and their two son, Jesse and Josh. And while the olive too far away for frequent visits with their family, they enjoy traveling to see their family as often as possible.